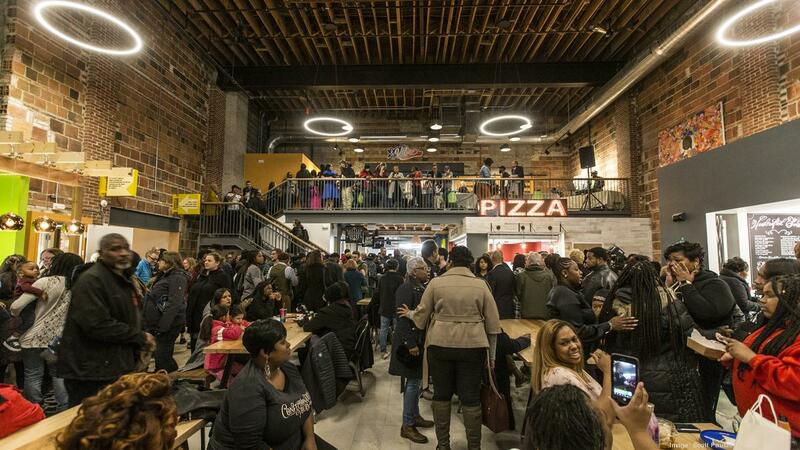 A highly anticipated project in Milwaukee’s Sherman Park neighborhood officially opened its doors Friday evening to a packed house. Check out the attached slideshow to see photos from the grand opening of the Sherman Phoenix, which drew many Milwaukee-area business executives. The Sherman Phoenix, developed by Juli Kaufmann and JoAnne Johnson-Sabir, is an entrepreneurial and wellness hub that houses about 30 businesses. The pair rehabilitated a former BMO Harris Bank branch that was damaged by fire during the unrest in 2016 that followed the fatal officer-involved shooting of a black man. On Friday evening, the Sherman Phoenix hosted a grand opening event, during which community members and officials celebrated the evolution from about two years ago. Milwaukee Mayor Tom Barrett described the development team as visionaries, who saw a challenge as a speed ramp instead of a barrier. 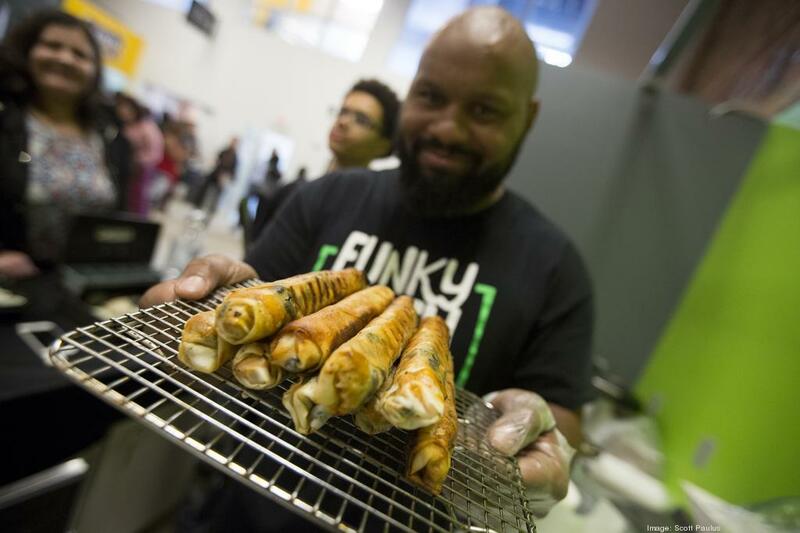 Businesses inside the Sherman Phoenix offer food, culture and wellness services. Examples include a spring roll business and pizza restaurant, a barbershop and a jewelry store. Chandra Cooper, the executive director and founder of Grateful Girls, opened a boutique inside the Sherman Phoenix called Queen’s Closet. Cooper’s organization works with women and girls who are on the human trafficking platform or are at high-risk. Her new store serves as a job training program for people to learn hard and soft skills. "We really wanted to be part of the phoenix rising,” she said. For Angela Mallett and Meshika Stewart, the owners of HoneyBee Sage Wellness, Friday’s opening event represented a dream realized. The project has earned support from a variety of sectors. In addition to private donations, the Wisconsin Economic Development Corp. provided a $250,000 grant to the Sherman Phoenix. The National Football League, at the request of Green Bay Packers tight end Lance Kendricks, contributed $50,000 to the project. Johnson Controls also helped bring the project to fruition by donating the HVAC equipment and controls needed for the project, according to a news release. Milwaukee-area business executives in attendance included retired We Energies executive Thelma Sias, Cecelia Gore of the Milwaukee Brewers Community Foundation, Scott Welsh of Colliers International Wisconsin, Tami Garrison of MillerCoors, John Kersey of Zilber Ltd., Grady Crosby of Johnson Controls Inc.. and Giacomo Fallucca of Palermo Villa Inc.